A few weeks ago I had a friend come and stay with me. She had never been to Texas. As a matter of fact, this was her first time in the states (She’s from Wales). I was excited to show her some southern hospitality. I was making my list of things to do and I knew I had to take her on a tour of campus. 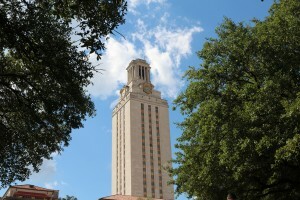 I couldn’t introduce her to the wonders of Austin, TX without showing her one of the largest universities in the state. She arrived on Friday and the first thing we did was walk to campus. As we made our way, I quickly tried to figure out which places I wanted to show her. I knew I had to take her the tower because it’s one of the main staples of the university. 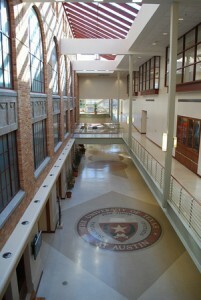 And, I had to show her McCombs since I was in the business school. But, where else should I take her? The more I pondered where we should go it dawned on me how many places on campus I truly loved. After going to UT for four years, the excitement of being at the university had begun to wear off. Now that I’m a senior I take a lot of things about the university for granted. When I first got here, I walked around campus in awe. UT is such a huge place. It was overwhelming. Each new building I entered as a freshman held a new undiscovered gem. Now that I’ve been here awhile I’ve lost the feeling of excitement I used to get. It is such a normal part of my life that it’s lost it’s flare. But, walking around with my friend a few weeks ago brought back some of the energy I used to feel. As I gave her a tour, I was able to see UT through her eyes. In the spirit of the UK, I must say the University of Texas is ABSOLUTELY BRILLIANT. To be honest, the tour made me a bit melancholy. My time at UT is coming to an end. I’m so glad my friend came in town to help remind me how lucky I am to not only be part of an amazing program, but also go to a school with a fantastic campus. As MPA’s were lucky we have a fifth year here. During my next year and a half, I’m going to try and spend sometime enjoying the places that have brought me some of my best memories. It is definitely the most wonderful time of the year, especially for students. Finals are over, another semester under the belt, and the stress is gone! For all those who are hanging around Austin after finals time, here are some great holiday ideas to get rid of that finals hangover! If you have never been to this, it is definitely a MUST. Austin brought this holiday light show back in 2012 after a few years of being unable to fund the cost. It is at Zilker Park until December 22nd. In addition to the incredible lights and displays there are also food trucks, music, and hot chocolate along the walk! This well known coffee shop has not only great coffee but also great dessert, live music, and a light show! It is a great place for a date, friend date, or date with yourself and a good book. You can also pick up a quick Christmas gift there if you have any friends or family that have a love for excellent coffee! This old hotel is a great place for an evening out on the town! If you go by during December 16 – 17, 2015 there will be a live string quartet, decorations, and treats from 5 to 7 p.m. Don’t pass up an opportunity for some free fun at this fancy place! For more details you can visit the website. 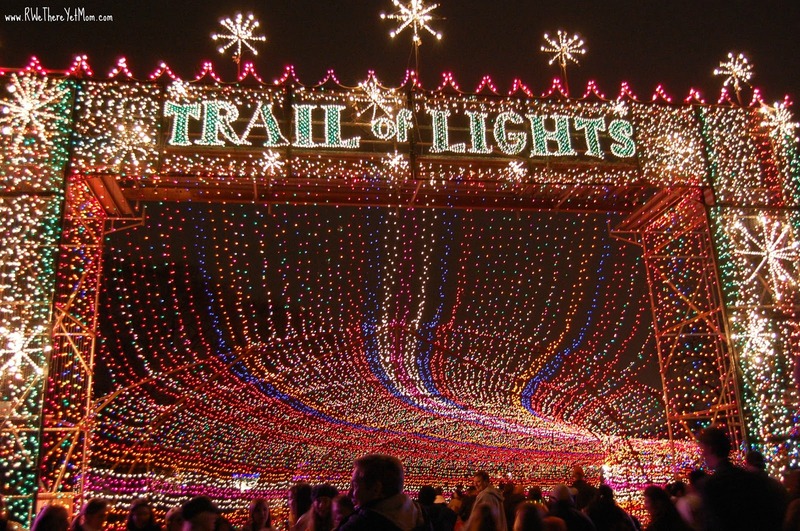 Be sure to celebrate the holidays Austin-style at some of these local places before you leave. You never know where you will end up when you graduate so make the most of your time while you are still here in Austin! September has always been a slow month for me, but with recruitment in full swing and a heavy fall course load, it absolutely flew by this year. I would not believe it was October if not for the Halloween candy and orange Oreos that have become my frequent study snacks. TeXercise is UT’s group exercise program. As a student, you have free, unlimited access to the university’s recreation facilities on campus. I frequent the Gregory gym weight room and have began to take small steps towards my goal of running a half marathon on the treadmills. However for the days I am feeling unmotivated or too busy to plan a workout for myself, I like to attend an exercise class. I purchased the semester pass for $85 at the beginning of the semester and received free access to the Group Cycling classes as a bonus for purchasing the pass early. If you have ever paid for a single cycling class or gym membership, you recognize that this is a great bargain. More details including prices and a class schedule can be found at the Division of Recreational Sports website. I have attended multiple yoga classes (Sunrise, Vinyasa) as well as Nike+ Training Club and group cycling classes. The cycling classes are definitely my favorite, but I have enjoyed the ability to get to try out a little bit of every type of exercise. For instance, I had never attended a yoga class before this semester and it is nice to learn the basics in a judgement free environment. During a stressful week, hitting the gym is the way I like to stay calm and focused. Even better for MPA students? 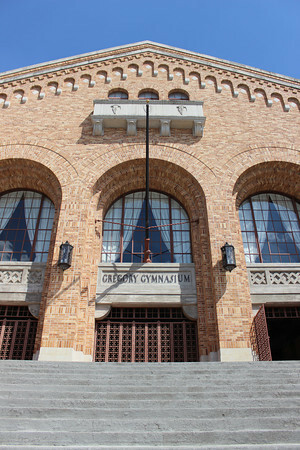 The Gregory Gym is just across the street from McCombs, making it even easier to incorporate a TeXercise class or two into your day. We live in a society where we are taught from a young age to be ready for the real world. “You’re an adult,” I have been told many times, “you have to act like one now.” It is not an overstatement to say that we have ALL heard that saying, or some variation of it. The pressure is – and always has been – on us. 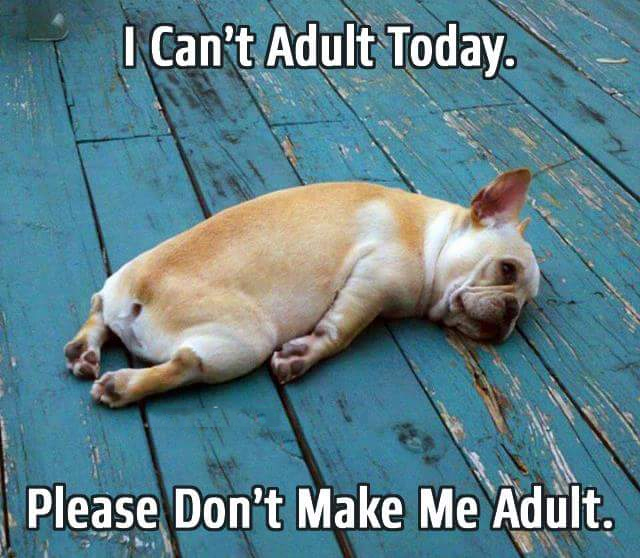 With being an adult comes adult responsibilities, but until now I’ve never been given said adult responsibilities. 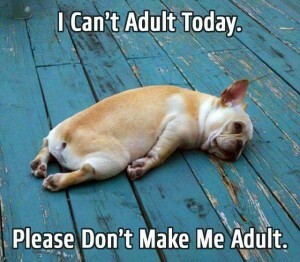 I didn’t even know what being an adult meant. The MPA Program, however, assisted me heavily in the process of entering the real world. The fact that the UT MPA program is the number one accounting program in the nation never hit me until the big four accounting firms all came to meet us. Partners, senior managers, all the way down to current interns came to UT to assure us they wanted us to come work for them. Through this process I’ve learned pro tips (that worked for me) to ace entering the real world, a.k.a. the INTERVIEWS. 1) Relax. Nothing says “I am not being myself” more than being nervous does. Take a deep breath, you can do this. 2) This is not a Q & A, don’t expect the entire interview to be you or the interviewer asking the questions while the other person answers. It is truly a conversation. Small talks lead to more genuine and endearing conversations to remember. This doesn’t mean don’t have 3 – 5 questions ready. 3) Speak up, not only in volume, but also on what you want. If you want to work at a specific office or there are some issues you need to clarify before you become comfortable working at the firm, ask! They are there to help you get the feel for the firm, so take advantage of it. Volume is pretty important, too. 4) Confidence is attractive, but overconfidence is not. Don’t go through this process with the mindset, “I already got the position,” because the interviewers are pretty perceptive and will read you. Be humble, yet confident. Show the interviewers the real you. So now having gone through the interviews and taken the first step towards adulthood, I feel pretty adult. 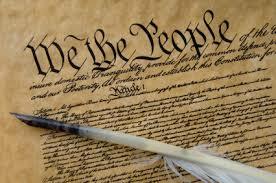 The right to question the Constitution? In the most recent publication of the Texas Exes’ Alcade, I found there to be a particularly interesting article written by Sanford Levinson called “Reframing the Constitution”. 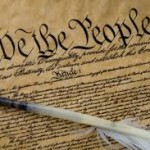 The article is extremely well written and I encourage everyone to read it for themselves, but the main point of the article is that the people of the United States should consider re-vamping the Constitution in a new constitutional convention. His argument is that “there are some truly serious deficiencies with the Constitution that are highly detrimental to our ability to meet the challenges that we face as a nation”. Levinson also raises some very interesting points in relation to what the framers of the constitution believed. When the Constitution was drafted in 1787-88, the world was a very different place and the issues facing our country were less complex. The founders couldn’t have predicted the exponential increases in complexity and non-linearity of events that would emerge as a result of globalization and technological innovations. Why are we requiring ourselves to be governed by a document written and based in principles and mental models of how the world works from a period in time that has more in common with Caesar than with the complex world we are living in?